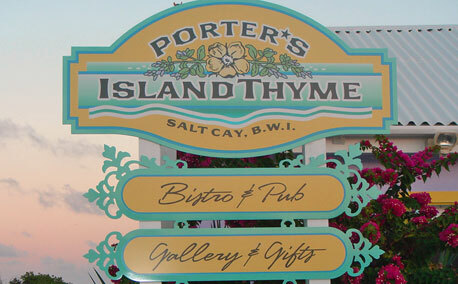 Porter’s Island Thyme Restaurant – Salt Cay, Turks & Caicos – At Porter’s Island Thyme the menu is classic Caribbean; Salt Cay and the Turks & Caicos, but it is infused with an Asian flair for what they call Caribbean Fusion Cuisine. Restaurants, Salt Cay, Turks & Caicos. Bookmark.